The good news was, after being hit by a passing car, the puppy was alive. The bad news was that the one sign of life — her own body heat — was putting her in more danger with every passing minute. 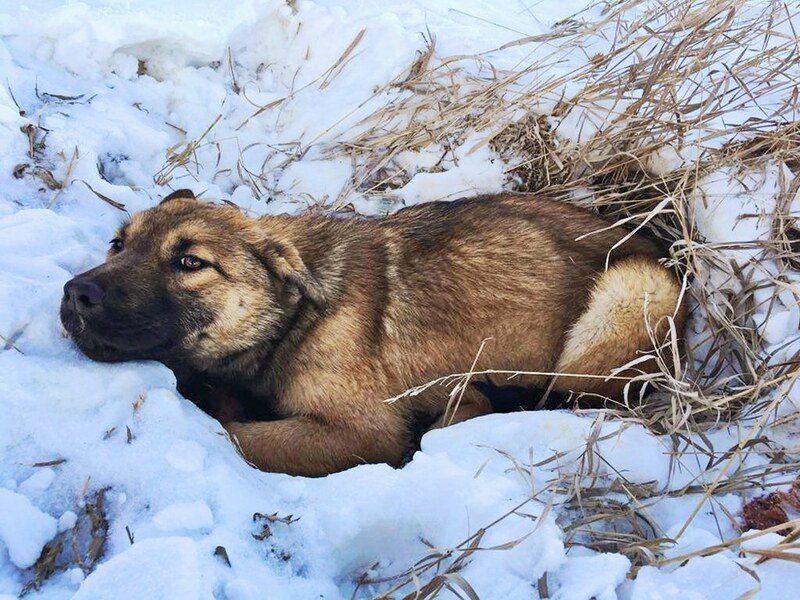 Paralyzed in a snowy ditch, the 7-month-old dog was getting increasingly more difficult for rescuers to find. 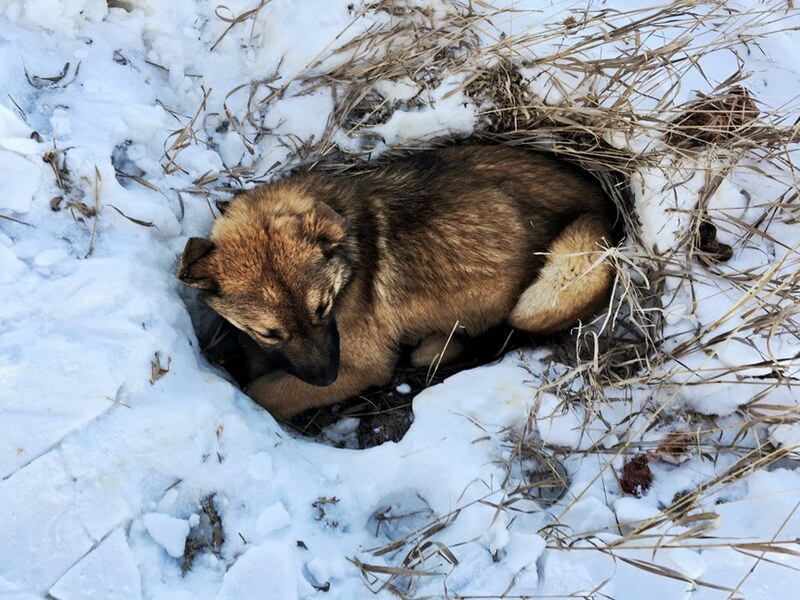 In the end, the puppy spent about 12 hours in a cradle of snow on Saturday — with a broken pelvis and hidden in the tall grasses along a road in Alberta, Canada. And, despite her ordeal, the dog, who would be named Nutmeg, was lucky anyone came along that quiet country road at all. It turned out a couple of teenagers spotted her on their way to a skateboard park. 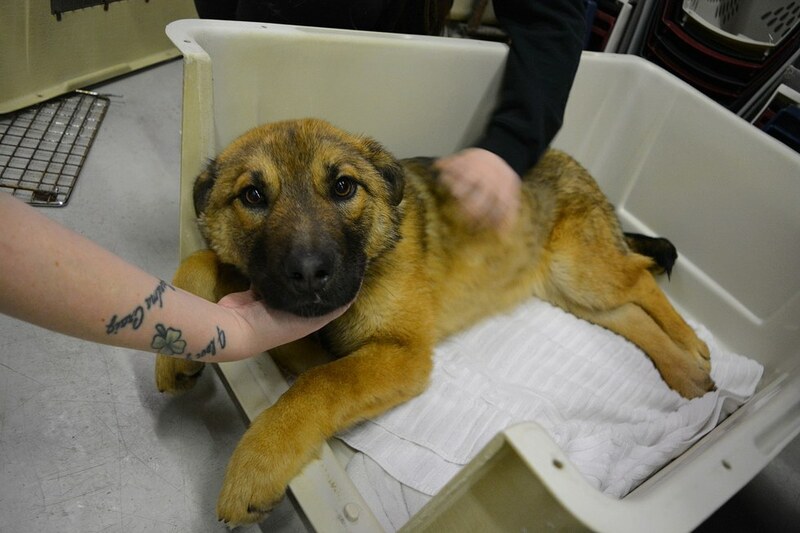 They called authorities, who, in turn, called a local organization called Alberta Spay Neuter Task Force. Then, for a while longer, everyone had to search again for the puppy who kept sinking deeper into the snow. “With all the grass and everything, she was quite camouflaged,” Perry explains. When Nutmeg was finally found, the relief went both ways. Nutmeg got the emergency treatment she needed at the Southern Alberta Veterinary Emergency (SAVE). And now, in AARCS’ care, she’s already found a foster family to help her recover. 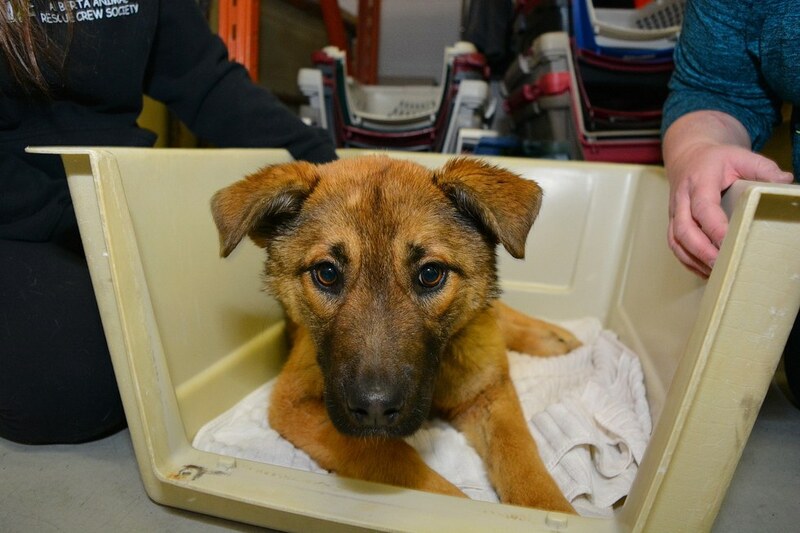 It will still be a long journey —Nutmeg is on pain medication and will be spending a lot of time resting in her crate. But Nutmeg is giving her caregivers the same tell-tale sign she gave rescuers in that snowy ditch. If you would like to support AARCS and its mission to save countless animals like Nutmeg, consider making a donation toward the organization’s new veterinary hospital here. Miracle Cat Digs Out Of His Own Grave And Gets Adopted!